Justin oversees the Purdue University Press and its publication of books, journals, and the open access scholarly content of the text repository, Purdue e-Pubs. 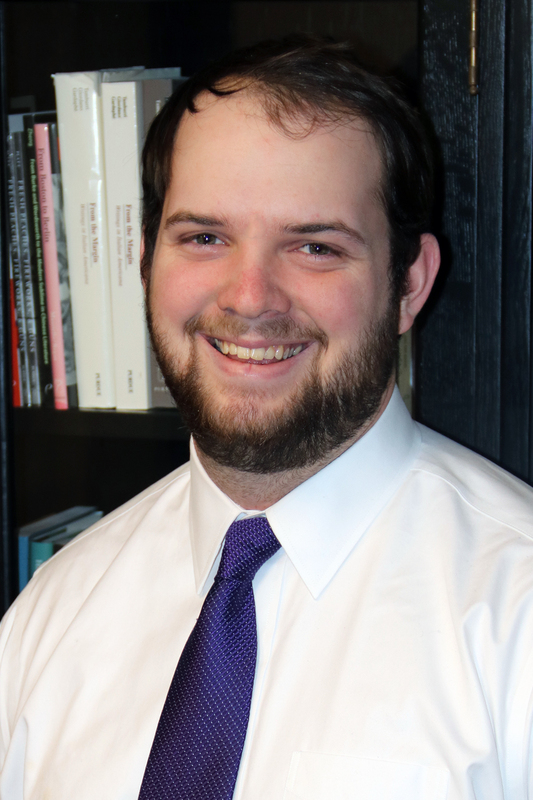 Additionally, Justin leads the acquisition efforts of the Press and serves as a member of the Purdue University Libraries senior leadership team. Bryan is in charge of sales and marketing for Purdue University Press journals and books and is also charged with increasing impact, dissemination, and discoverability of all publications. Bryan supervises marketing team members, manages existing revenue streams, and oversees the PUP brand and leveraging new means of driving awareness and use of Open Access titles and grant-funded initiatives. Katherine is in charge of the full production process and its subprocesses, from the time final manuscripts have been submitted, through copyediting, typesetting, design, XML conversion, to final publication. Katherine also is in charge of all house styles. She supervises EDP team members and manages the print and electronic publishing processes for all Purdue University Press publications. Kelley is half employed by the Press and half by the Joint Transportation Research Program (JTRP). Her JTRP responsibilities include the management of both review and production processes for around 20-30 technical reports per year. For the Press she works mainly on books, both copyediting and typesetting volumes. She was previously employed by Elsevier's health sciences books division. Nina provides outreach and engagement, serving as the primary contact for the scholarly publishing services offered by the University Press for faculty, users, disciplinary liaisons, and technology partners. She builds relationships with researchers to explore digital publication and preservation of their work; and, serves as an advocate for their communication goals. Marcy devotes most of her time to HABRI Central, the disciplinary repository for human-animal bond studies, but also works with authors whose work is made available through Purdue e-Pubs. She is a trained librarian and scholarly communication specialist who previously worked at Butler University in Indianapolis. Matt works in a variety of areas within the marketing department including social media management, coordinating communications, advertising, book reviews, and exhibits. Matt graduated from Ball State University with a degree in public relations.Publishing Institute at the University of Denver. Chris works on a wide range of activities from designing book covers, advertisements, exhibit materials, posters, and other marketing items. He also assists the editorial team in the clean-up, redrawing, or creation of illustrations for books and journals. Chris earned a bachelor's degree in visual communications/graphic design from Ball State University. Prior to joining the Press in 2018, he worked for over 11 years in the graphic design field around the West Lafayette area. Becki is the first point of contact for prospective authors/general inquiries. She manages the peer review and contract process for books. She also assists with marketing, processes royalty reports, and is the liaison with the Business Office. In general, she supports the administrative operations of the Press.